The temporary Edgartown Post Office opened in the Carnegie building Tuesday for mail pickup and drop-off of stamped mail only. The Edgartown Post Office opened in temporary quarters in the Carnegie building on North Water Street at noon Tuesday, much to the relief of all concerned. Postal customers, who last week had to trek to the Vineyard Haven Post Office to retrieve their mail, were generally pleased with the new arrangement as they waited patiently in line. Spirits were high and customers lined up outside the doors before the building opened for service at midday. USPS spokesman Steven Doherty confirmed Wednesday that services will be limited in the temporary location to mail pickup and drop-off of stamped mail. Mr. Doherty said retail services will not be available in the Carnegie building, but will be available from a private mail service operator on Church Street, as well as the Post Office branches in Oak Bluffs, Vineyard Haven, West Tisbury and Chilmark. Customers will need to visit a different branch to purchase stamps or to ship packages. Edgartown and Post Office officials have been working feverishly behind the scenes to open a temporary Post Office and restore the smooth flow of mail and packages to Edgartown Post Office customers since almost two weeks ago Friday when water infiltrated the building that housed the Post Office in Post Office Square at the Triangle. Meanwhile, repairs to the Post Office Square building are proceeding. Building owner and Boston-based developer Charles Hajjar said in a phone conversation with The Times on Wednesday that the roof is now watertight. The building has been gutted, and he is awaiting an inspection by Post Office officials and the board of health, which is slated to take place Friday. Following this review, insulation, walls, and floors will be reinstalled. According to Edgartown selectman Art Smadbeck, Chris Scott, executive director of the nonprofit Martha’s Vineyard Preservation Trust, played a critical role in finding a solution with an offer to let the town use the Carnegie building, the town’s former library. Once town and postal officials agreed on the site, work began to make it usable — and sort out the paperwork: no small task. Edgartown officials stressed that parking will be limited to 15 minutes from the old library location to Morse Street and along Morse Street. Post Office hours will be Monday-Friday, 8 am to 5:30 pm, and Saturday, 7 am to 1 pm, until further notice. Edgartown selectmen learned that a solution was near at their regular Monday meeting when town administrator Pam Dolby said that pending final approvals, the Edgartown Post Office could begin operating out of the Carnegie building sometime Tuesday. Ms. Dolby told town leaders that the holdup was a written agreement between the Preservation Trust and Postal Service officials, which required approval in Washington, D.C.
Ms. Dolby provided another ray of sunshine for those left in the lurch after the Edgartown Post Office was forced to close due to water damage associated with construction to add second-floor apartments to the Post Office Square building that houses it. “I would anticipate that with the way things are moving that hopefully, optimistically we are back in the old renovated Post Office by hopefully, I would think, by the second week or third week of May,” she said. An earlier estimate was June 1. 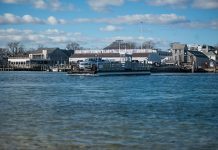 On Monday morning, conflicting reports only added to the strain on Edgartown postal customers, who for more than a week had been told they could pick up mail at the Vineyard Haven Post Office, which had created a separate line for Edgartown mail service. At 8:38 am Monday, Edgartown information technology (IT) manager Adam Darack sent a text message through the town’s notification system that alerted customers to a halt in mail distribution at the Vineyard Haven branch. “Neither VH nor Edg open for Edg mail or package pickup. Paperwork for getting old library open as Edg post office is in its final steps,” the message said. 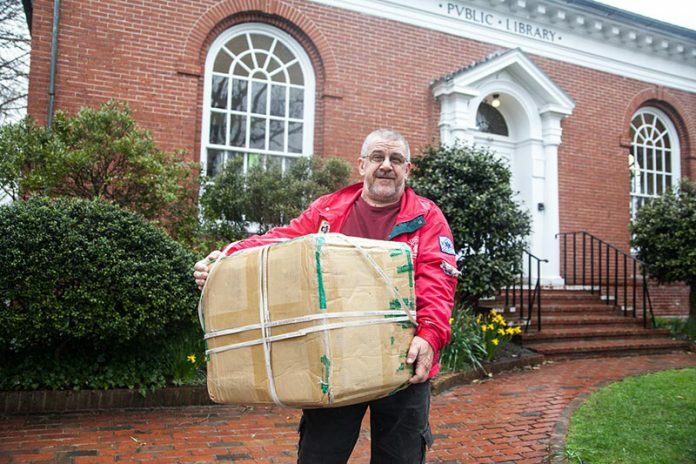 Mr. Darack later told The Times that mail that would have been delivered on Monday was available for pickup in Vineyard Haven. All previously delivered mail that wasn’t claimed before Monday was being transported back to Edgartown. In the lobby of the Vineyard Haven Post Office early Monday afternoon, a small line of people continued to pick up Edgartown mail. The Times emailed USPS spokesman Steve Doherty and asked him to confirm whether Edgartown postal customers could continue to pick up mail in Vineyard Haven. In an email to The Times, Mr. Doherty confirmed that Edgartown officials had offered the Carnegie building on North Water Street as a temporary Post Office location until the branch in Post Office Square was repaired. The Edgartown branch closed on Friday, April 1 due to rain leaks. 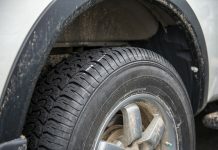 “Currently there are a lot of moving parts to this and a lot of hands involved,” Mr. Doherty said. The Carnegie building is owned by the nonprofit Martha’s Vineyard Preservation Trust. 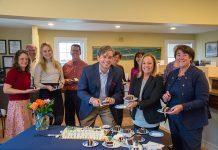 The Trust purchased the building in March, just after the Edgartown library moved into its new building adjacent to the Edgartown School. Next articleWhat sets Paradise Dental apart from the other practices on the Island?